Monday blues are one of the worst recurring feelings after you’ve been inflicted with adulthood and no matter how good your TGIF game is, the weekends can never feel long enough. 2020 is a year packed with long weekends if you know how to strategise. Plan your short trips and getaways for that wanderlust life, meet up with friends overseas, and take your family out for sightseeing. Get your red markers and calendars out to circle some of these dates! 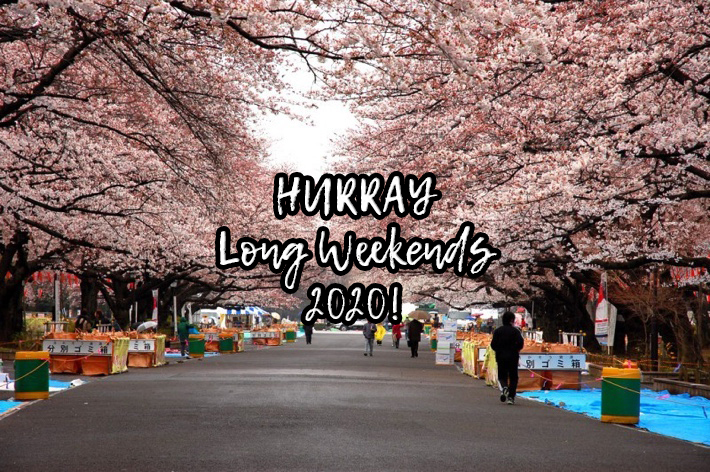 There are 7 long weekends in 2020 and it’s time to start planning for your holiday next year!